Just over 12 miles outside of Omak is the entrance to Pine Creek Road. If you travel another 7 miles to the west you will come to the entrance of the Sinlahekin Wilderness Area, and this is the point where the 2015 Limebelt Fire crossed the road. There is a pull-off on the left side of the road where you can stop to see evidence of the fire through burnt fence posts and tree trunks on either side of the road. This section of the Sinlahekin Wilderness is right in the heart of the Limebelt Fire area. The Sinlahekin Wildlife Area is the oldest wildlife area in Washington, and today it is a popular area for hunting, fishing, hiking and camping. In addition to providing numerous opportunities for recreation, this 23,000 acre area provides plenty of habitat for the multitude of species that call it home. 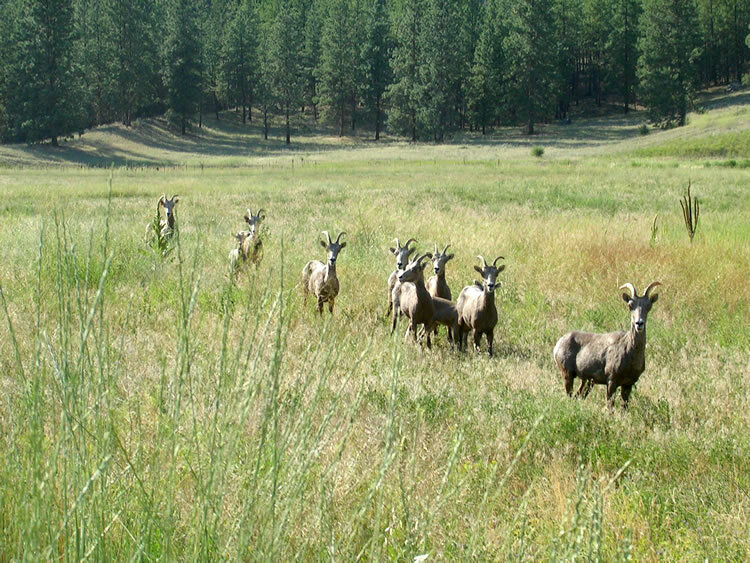 Photos and information sourced from https://wdfw.wa.gov/lands/wildlife_areas/sinlahekin/.